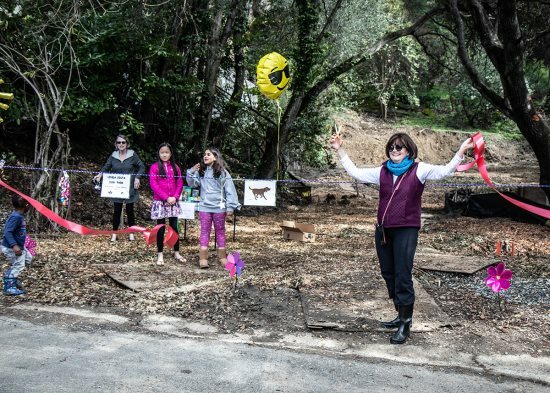 Neighbors were overjoyed when the partially deconstructed building at 6 Linda Vista in Orinda was finally demolished after a seven-year struggle. A small home had been left when its owner died, and was bought by a developer who wished to build a single-family home for his family. Neighbors objected to the size of the project, and the property was then sold. The remodeling project began, but went disastrously wrong. The building was left as an eyesore, taken down to the studs. Eventually the property was repossessed, but the saga continued as the new owner, a Los Angeles company, investigated ways to recoup its investment. Now the property has been cleared of the building and the lot will be sold. 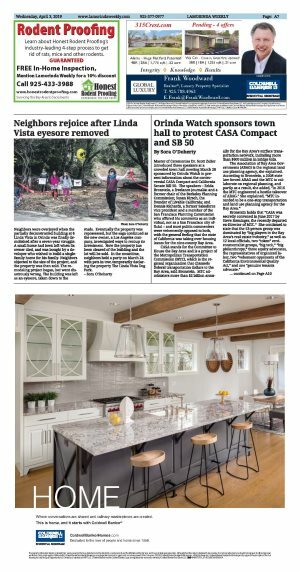 In the meantime, neighbors held a party on March 24 with pets in tow, temporarily declaring the property The Linda Vista Dog Park.